Maurice German, a Verizon employee who rescue a cat stuck on a telephone pole, was suspended from work for three weeks. Now a GoFundMe was created to support him while he is suspended. 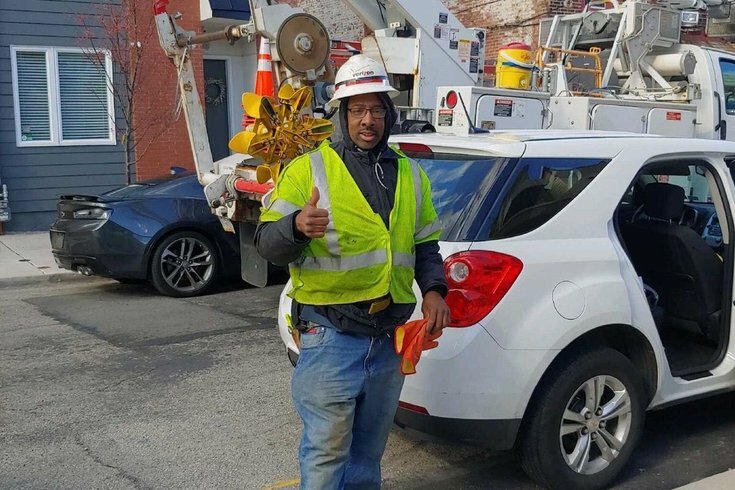 Verizon employee Maurice German was working in Port Richmond last week when neighbors approached him about Princess Momma, a cat that had been stuck on a telephone pole for more than 12 hours. Apparently the cat's owners — who had been trying to retrieve the cat since the early hours of the morning — allegedly put in calls to animal rescue, the fire department, and PECO unsuccessfully. So, armed with a company lift, German agreed to help. But after a video of the rescue went viral on social media, the company issued a statement on Friday, March 22, saying that German had been suspended for three weeks, CBS Philly first reported. Apparently the company's safety training mandates equipment only be used in certain areas and German used the lift in an unauthorized area. A GoFundMe was created by a bystander on Friday to support the employee, who's now being dubbed a hero. By Sunday the crowdfund had already exceeded its goal and raised nearly $3,000. An online petition with close to 13,000 signatures was also created to petition for Maurice German's reinstatement.